Sony announced the Xperia X, Xperia XA and Xperia X Performance during MWC this year. While the Xperia X Performance is powered by Snapdragon 820 SoC and 3 GB RAM, another unknown Sony smartphone has appeared on GFXBench sporting Snapdragon 820 SoC under the hood. 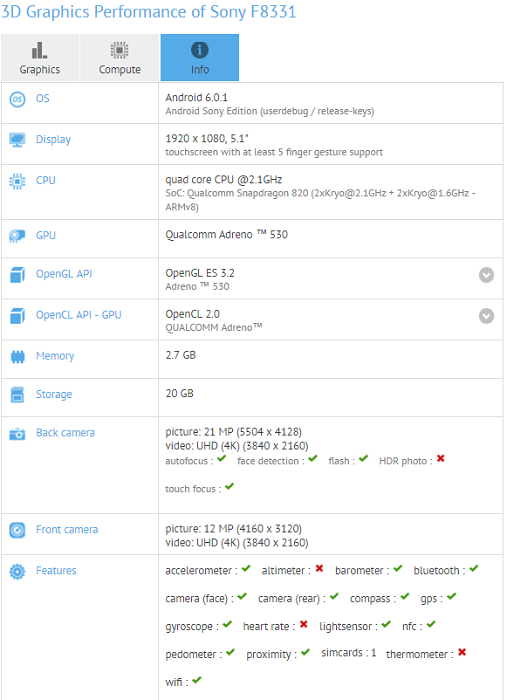 Going by the GFXBench listing, this Sony smartphone with model number F8331 is powered by Snapdragon 820 quad-core processor which is clocked at 2.1 GHz. The processor is further paired with 3 GB RAM and Adreno 530 GPU. The tested device runs on Android 6.0.1 Marshmallow and features a 5.1-inch Full-HD display. The Sony F8331 has 32 GB of internal storage, and we expect the device to have a microSD card slot as well for storage expansion. The device sports a 23 MP primary camera and a 13 MP secondary camera. Both the cameras are capable of recording videos in 4K resolution. There’s no information about the battery, but, if Sony is really working on another flagship device for this year, we will see more leaks surfacing online for sure. Also, this unknown Sony device is expected to be unveiled in September during IFA. By the way, which smartphone do you own? 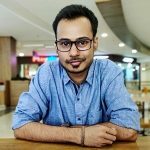 Is it a mid-range device or a flagship?